St. René Goupil (1608-1642), one of the eight North American Martyrs, was a member of that trinity — with Sts. Jean de la Lande, and Isaac Jogues — who gave their lives on what would become U.S. territory: Ossernenon (Auriesville), New York. Like St. Jean de la Lande, he was not a priest, nor, at first, 1 a lay brother, but a donné. The donnés (like “oblate,” the word means “given”) were laymen who cooperated with the Jesuits in the missions of New France. On their part, the Jesuits fed, clothed, housed, and otherwise took care of the material needs of the donné’s, while the latter worked for the Jesuits in various skilled and non-skilled occupations. Their assistance to the missions of New France was invaluable. In order to assist the Center in our present needs, we have implemented our own donné program, under the patronage of St. René Goupil. It is important to outline clearly what this program is and what it is not. It is a program by which men (ages 15 2 and up) agree to work for us for room and board. They do so for pre-agreed periods of six or twelve months. Additionally, for those not graduated from high school, there will be a summer program of the duration of a summer vacation, about three months. For young men not decided on their state in life, the donné program will provide them with a wholesome atmosphere for discernment. The periods of time outlined are not strictly binding. If a donné is not satisfactory because of bad work habits, bad morals, disruption of the community life, or any other good reason, he will be asked to leave. Similarly, if he is unhappy with the arrangements, he may leave at any time. The program is not a novitiate. The donné will not be invested in the habit, given a religious name, nor bound to the same rules as the religious. The donné program is neither an alternative home school nor a “reform school” for young men who have those needs. It is not a job. There will be no material remuneration for the donné, other than his room, board, items for personal hygiene, and any shoes or clothing he may need to purchase during his stay. Neither is it a commitment binding under sin. The donné will take no vows. He will simply promise that, as long as he is a donné, he will observe the simple rule of life laid out for him. The advantages to the individual donné include: 1) close proximity to the sacraments, daily Mass, priestly direction, and lectures; 2) fellowship with the religious; 3) a more ordered life away from worldly distractions; and 4) the opportunity to work for God’s glory. 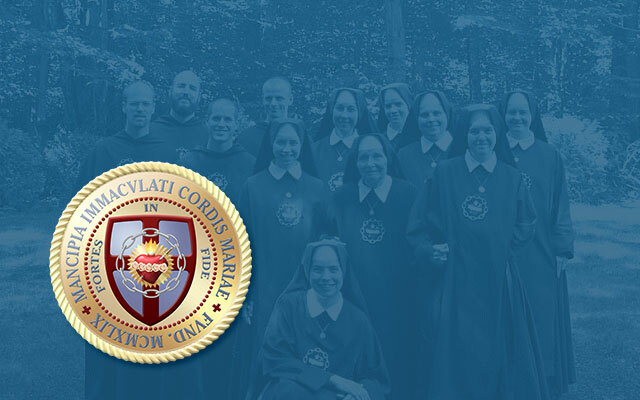 The advantages to the religious include: 1) a larger work force to doing monastery chores, thus giving the brothers more time to dedicate to the work of the Apostolate; and 2) increased opportunities for acquiring vocations, since the program aids the donné in the discernment process. It should be said, however, that one not inclined toward a vocation to the religious state is not, on that account, ineligible for the program. Donnés must attend all Masses (unless there is more than one in a day), Rosaries, and lectures at the Center. They should make at least ½ hour of mental prayer daily. During their time as a donné, they are not to court (much less “date”). They must never engage in gossip. As they will live with the brothers, they may become privy to things that other seculars are not. It is possible that people may ask nosy and curious questions. They should be prepared for this and refuse to discuss such things. Rock music, or equivalent “art forms” will not be part of their life. They should not socialize with any female boarders living with the sisters, nor should they try to converse at any length with the sisters themselves. Prerequisites — Who is eligible? Besides the requirements listed on the other page, the donnés must be men willing to do what is asked of them. They must be in good health. They must be debt free, since they will not be able to earn money to pay off debts while here. If they are not men we already know, they must be willing to submit to a professional background check. Duties — What will they do? Construction / repair / carpentry projects. Helping the brothers in the office with filing, bookstore chores, answering phones. Household cleaning, floor maintenance, etc. Working on publications (graphics, layout). Helping with our apostolate by driving or distributing our books. Posessions — What should they bring? Ideally, the donné will not need anything but a few changes of clothing (including work clothes, a shirt and tie for Sunday Mass, and some heavy winter clothing for New England winters should he be here then) and articles for personal hygiene. He should travel lightly when he comes. He should also bring any Missal or prayer books or books for spiritual reading that he uses, although we can provide those things for him. Everything else by of ordinary needs, we can provide. 1 He died a lay brother. After St. Isaac and St. René were captured and shortly before the latter’s martyrdom, St. Isaac heard St. René’s profession of vows, the formula for which the donné knew by heart. 2 Nobody not yet graduated from high school will be admitted to the donné program for any other period of time than the Summer vacation.